This is one Parisian evening you won't soon forget. 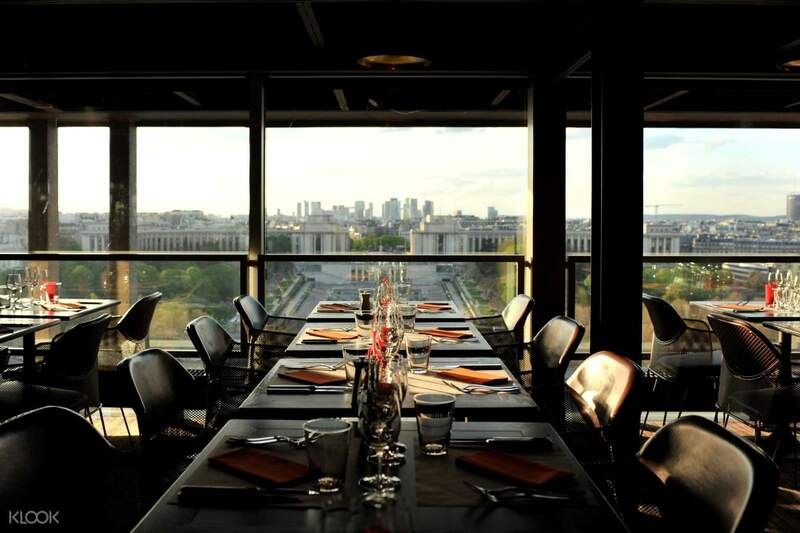 Speed up to the first floor of the Eiffel Tower and discover the breathtaking views from the 58 Tour Eiffel restaurant. In this extraordinary setting located 190 feet up, enjoy a delicious dinner in the chic, contemporary restaurant. 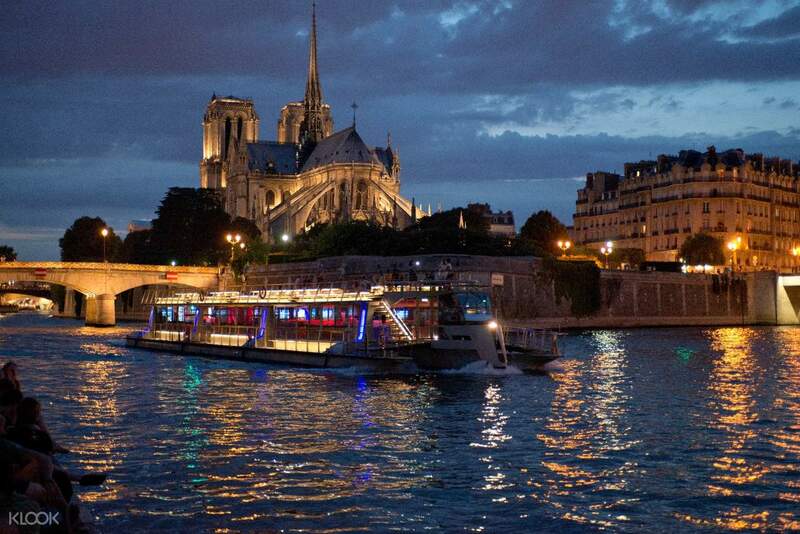 At the foot of the Eiffel Tower, step aboard for an hour-long cruise along the Seine on a glass-topped boat with terrace. Marvel at the amazing architecture of the heart of Paris's most prestigious illuminated monuments lining the banks of the Seine: the Louvre Museum, Notre Dame de Paris Cathedral, the Conciergerie, the Orsay Museum, and more. 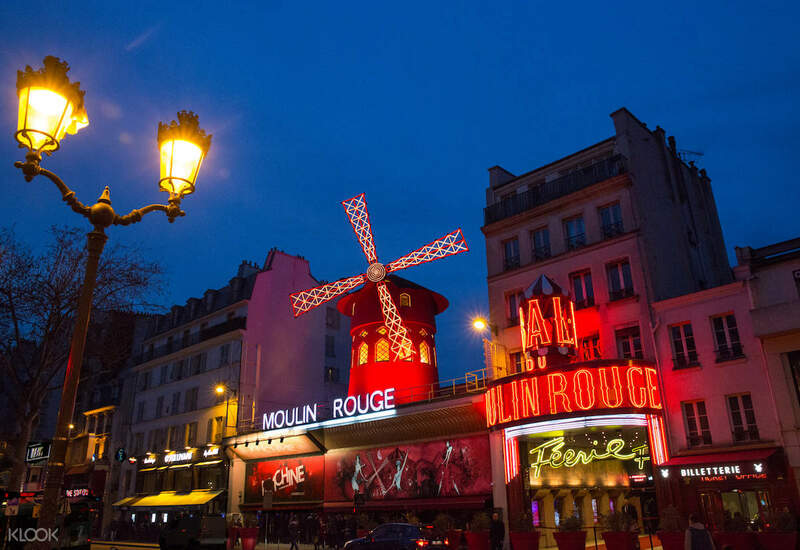 Finally, after the Eiffel Tower and Seine River Cruise, watch the legendary show at the Moulin Rouge cabaret in Montmartre, the heart of Parisian night-life, as you sip a glass of champagne. The Moulin Rouge, famous the world over for its cancan, has been performing its sumptuous review shows for 120 years. The current review show, entitled "Fairy," boasts 100 different performers, including 60 beautiful Doriss Girl dancers. Be amazed by its world of rhinestones, feathers, and sequins! The luminous show will captivate you with its ornate stage sets, superb song and dance numbers, and original, fairytale music. After the show, you will be taken back to your Paris accommodation.